This organization was formed and chartered as a nonprofit organization in Louisville Kentucky. President George Parker based on the wishes of the membership; filed the request for incorporation in the latter part of 1949 The IAAI received its charter December 4, 1951. The State of Kentucky required an "Annual verification of IAAI Incorporation" filed with the Secretary of State. This was to include the name of an individual within the State of Kentucky who would be responsible for any actions of the IAAI. George Parker (President 1949-50) was the first to fill this position followed by John T. Underwood (State Fire Marshal, Frankfort Kentucky). The official title within the State of Kentucky was "Corporation Process Agent"; the individual holding the position became an Ex-Officio Member of the IAAI Board of Directors. 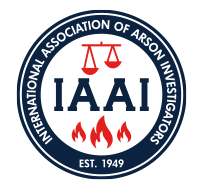 Thus, the IAAI became a viable and functional association due to the need and necessity of training and education in the uncharted waters of fire and arson investigation, which was nonexistent at that time.